Audience, Agency and Identity in Black Popular Culture analyses black cultural representations that appropriate anti-black stereotypes. 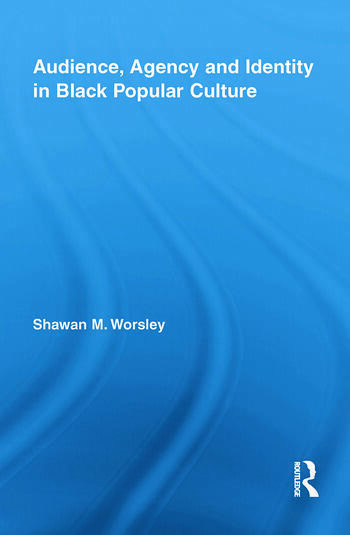 Using examples from literature, media, and art, Worsley examines how these cultural products do not rework anti-black stereotypes into seemingly positive images. Rather, they present anti-black stereotypes in their original forms and encourage audiences not to ignore, but to explore them. Shifting critical commentary from a need to censor these questionable images, Worsley offers a complex consideration of the value of and problems with these alternative anti-racist strategies in light of stereotypes’ persistence. This book furthers our understanding of the historical circumstances that are influencing contemporary representations of black subjects that are purposefully derogatory and documents the consequences of these images. Shawan M. Worsley is Assistant Professor in the Department of Performing Arts at the University of San Francisco.